The Canterbury Tales is undoubtedly the masterpiece of Geoffrey Chaucer. It is one of the most famous works in all literature .It covers the English period of his life .Chaucer is often regarded as the father of modern English poetry .In The study of poetry, Matthew Arnold has confirmed it.Because Chaucer's contribution to English language and literature is incomparable .His position in English language is for the father. In fact, he did not write in modern English. He wrote in East Midland. But when we refine this language .It becomes modern English .So The Canterbury Tales had a great influence and contribution on the succeeding literature in English. The Canterbury Tales is the only one achievement in the last phase of his poetic career. There is no doubt that this is the greatest poetical work of Chaucer. In the third phase of his poetic career, it is the crowning achievement. It is the merit of his complete wisdom. It us an original work and English through and through .The "tales' is suffused with the English air.The general idea of this collection of tales is derived from Boccaccio's Decameron. "It is more than a literary innovation .It is a change of mental attitude .Poetry turned with tolerant curiosity to the study of man and manners .For the first time, the relation between individual and ideas is clearly realized"
The Canterbury Tales is not only Chaucer's masterpiece but also the high point of all English medieval literature .For the purpose of his poem, Chaucer draws together twenty nine pilgrims including himself .The meet at the Tabard Inn in order to go on a pilgrimage to the tomb of Samuel Beckett.The Company of people includes all classes of English society from the Oxford scholar to the drunken miller. The cheerful host of tge inn suggests that to enliven the journey, each of the company will tell four tales.Each pilgrim will tell two stories in the time of going and the other two in the time of coming. The best teller of stories will be given a fine supper at general expense on their return . When we study The Canterbury Tales, we find that the company should tell at least one hundred and twenty complete stories. But they are able to finish only twenty one complete tales and the three remain unfinished .Moreover , no pilgrims tells more than a single story .But it is clear that Chaucer has meditated an immense work covering the whole life of England .Both complete and incomplete stories cover a wide range of contemporary English society .They cover the stories of love and chivalry, of saints and religious, travels and adventures, allegory , satires and the coarse humour of the common people . Chaucer is the first English poet to bring the atmosphere of romantic interest about the men and women and their daily works.Beowulf and Roland are ideal heroes. They are essentially the creatures of the imagination .But the characters of "The Canterbury Tales "are to life. In this poem, we find the merry host of the inn,the fat monk, the parish priest ,the kindly ploughman and the like .As a result ,"The Prologue to the Canterbury Tales"is regarded as a picture gallery. Here all people from every sphere of English life are described with a quiet kindly humour.Chaucer is able to portray the pilgrims as types and individuals.The wife of bath is typical of certain primary instincts of women.But she is given a local habitation. In this way , The Canterbury Tales is a poem in which the essential humanity is emphasized. William Langland with his allegory of heaven and hell gains much in grandeur and impressiveness .But Chaucer with his individuals types gains infinitely in reality and in human sympathy .This realism of painting human life is first abiding contribution of Chaucer to literature .He holds up a beautiful picture of the contemporary society in his mirror ,The Canterbury Tales.But his picture is incomplete. The dark underside of his age is in no way reflected by him.Chaucer has written for the court and the nobility .The nobility do not wish to be disturbed by painful reminders of plagues , famines and popular discontent . The poem also contains few references to the plague, only one to the peasant uprising and to Lollardy. These references are casual and jesting. From the above discussion, we conclude that Geoffrey Chaucer is the mouthpiece of his age. He is a great representative poet and represents his age completely and not in fragments. 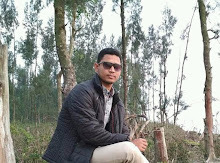 He is a social historian of his age, realistic and faithful. We are able to know more about his age from his The Canterbury Tales than from any book of history. The poem is a mirror to contemporary life and the very framework of the poem is realistic .It seems to be a cinematograph. Chaucer for the first time portrays men and women realistically and sympathetically. Thus he introduces modern note in literature. 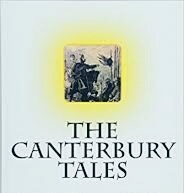 Through few limitations are obvious in The Canterbury Tales,it has rich comedy, variety of humour abd description powers and study of characters.So we can say that the poem is a unique achievement and has great historical importance.